Today’s post will highlight a media dinner I attended last week at Bogart’s Bar & Grille, where we were treated to a lovely 5 course (12 item) tasting menu arranged for us in one of their 4 private banquet rooms and skillfully prepared and presented by Executive Chef Aaron Goldberg. The last time I was here was in May when I came with friend and fellow food blogger Shaina for a Girls Night Out, dinner and a movie. To read about this adventure, check out Shaina’s review. It was then, that me and my taste buds fell in love with Chef Aaron’s cooking. On this evening’s menu, we were treated to 7 of the 15 new dishes created by Chef Aaron as well as 5 of Bogart’s classics. The Miso-Maple Glazed Edamame is an example of a classic Bogart dish that Chef Aaron put his spin on. I have to definitely give him kudos on this new rendition. The char on the edamame and the sweet/tangy sauce was a perfect combination. Loved them! Next up was the Hummus Trio (new starter item, $8). Dollops of roasted garlic, beet and avocado hummus the size of an ice cream scoop were playfully presented and served along with warm pita bread, celery and carrot sticks. Glad to see Brussels Sprouts are still in. These Crispy Brussels (another new starter, $9) come with smoked bacon, candied pecans (genius) and an apple-pecan vinaigrette. To say they were delicious is an understatement, really. Our next course started off with Sesame Seared Tuna (new starter, $16). As the name of the dish implies, the tuna was coated in sesame seeds and seared and laid upon a bed of wakame, and garnished with pickled ginger, wasabi, cracked wasabi peas and ponzu for dipping. While this dish definitely had eye appeal, I was more impressed with wasabi tuna salad I had on my previous visit. Perhaps all this one lacked was the miso ginger vinaigrette served with the salad. Well, that’s just my opinion. I heard others oohing and aahing over this dish, so you will just have to try it and let me know what you think. The Tomato Mozzarella Salad (another new item listed under ‘greens’, $11) consisted of vine ripe tomato, fresh mozzarella, balsamic reduction, basil oil and sea salt. Art on a plate that tasted as good as it looked! Our third course included their Orange-Miso Glazed Salmon. (Bogart classic, $25) Check out the coloring on the salmon, it’s gorgeous, don’t you think?!? The salmon was placed atop a bed of black forbidden “Chinese-style” rice which I had never heard of before and drizzled with a carrot-ginger emulsion. Mojo-braised Pork Tacos (new item under large plates, $14) come with 3 tacos filled with deliciously marinated pork and topped with a charred pineapple salsa, pickled red onion and cojita (Mexican) cheese. The tacos were simple, light and tasty and the combination of the various flavor profiles was very well thought out. The Dijon Crusted Chicken Milano (another Bogart Classic, $20) was one of the dishes I had ordered on my last visit. It definitely deserves to remain on the menu. The chicken was cooked perfectly and the Dijon crust delivers the perfect crunch. The chicken sits atop bed of broccoli florets and sweet potato raviolis in a maple-dijon cream sauce. The Home-Style Pot Roast came out next (new item under large plates, $22) and was served with truffle whipped potato (truffle: woo hoo, yippee, nom nom, I sure do love me some truffle, lol) and baby carrots. If sandwiches are more your thing, they also have a Pot Roast Dip (new item under handhelds, $16) served on a French roll, creamy horseradish sauce and pan jus. Moving onto desserts, all the desserts are made in house. The Bread Pudding (new item created by Pastry Chef Kate Neumann $8) is made with roasted apples, salted caramel and creme anglaise. And the final dessert of the night was a New York style Cheesecake made with a graham cracker crust with a strawberry coulis ($9). cou·lis ko͞oˈlē/ a thin fruit or vegetable puree, used as a sauce. These cocktails were so festive looking, perfect for the holidays. Strawberry Basil Sangria and Ruby Red Martini. Bogart’s Bar & Grille is located on the second floor at Cinemark Palace 20 Theatre, 3200 Airport Road in Boca Raton. Guests can dine here with or without seeing a movie. However, guests choosing to take in a show at the Premier Level may bring their food and beverages, including liquor, into the plush theaters. Popcorn and valet are also complimentary to Premier Level guests. As if that weren’t enough, Bogart’s offers an amazing concession stand featuring the full restaurant menu, a gourmet chocolate selection and an array of wines by the half or full bottle. They are open from 11am until 11pm Sunday to Thursday and Friday & Saturday from 11am to 12am. Planning a special event? Bogart’s is perfect for…Birthdays, Engagements, Wedding Rehearsals, Bar/Bat Mitzvahs, Family Reunions, Showers, Holiday Parties, Happy Hour, Networking, Team Meetings, Seminars, Product Launches, Client/Employee Appreciations. 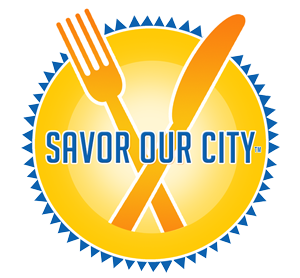 For info on booking Bogart’s for any of the above events, you can contact the Meeting & Events department at 561-395-7682 and let them know your foodie friend Denise from Savor Our City sent ya! For additional info about Bogart’s, please visit their website or call 561-544-3044. A third generation restaurant aficionado, Burt started his career in New York City, where his family owned and operated a successful kosher dairy restaurant for 50 years. Known for providing high quality cuisine with a good value, an elegantly welcoming ambiance and impeccable service, Rapoport takes pride in all of his restaurant concepts. The collection includes Bogart’s Bar & Grille in Boca, and Henry’s, Deck 84, Burt & Max’s and Apeiro in Delray and is a partner in Max’s Grille in Mizner Park. Rappy’s Deli in Boca Raton is slated to open in the Fall of 2016. Let’s face it, many of the restaurants that sit on pristine real estate donning the best ocean views fall a little short on delivering a high quality dining experience. Customers have come to expect this norm of sacrificing one for the other. Well not any more. Oceans 234 in Deerfield Beach has literally and figuratively broken ground and paved the way for a new standard that doesn’t call for sacrificing on quality for the sake of having a spectacular view. I have been a fan of Oceans 234 for several years now and was super excited when they finally re-opened after undergoing a $1.8 million remodeling. I was also thrilled to receive an invitation to attend a media dinner there to check the new space out and sample some of the new menu items created by Chef Vic. With 75 percent of the menu items being brand-new, Chef Victor Franco has been busy for the better part of a year creating new dishes, including a separate gluten-free menu. New signature cocktails and a new wine program are also new additions that are sophisticated yet approachable. What you will experience at the 200-seat Oceans 234 is fresh caught seafood varieties, sushi, tender steaks, poultry, entrée salads, a handmade dessert menu, and full liquor bar. “The craft cocktails are unique & playful” boasts server Josh. “We like to play with our food”. Returning guests as well as new diners are wowed by the new openness and beauty of the views now devoid of any column obstruction and a completely new interior decor which has been outfitted with a sea-inspired theme which is a perfect compliment to it’s environment. There’s a new private dining area that can accommodate up to 50 guests with Nano doors opening up to the patio. Even when the Nano doors are closed, the floor-to-ceiling windows allow the breathtaking oceanfront view to be seen by those dining inside or socializing at the bar. The obstructing columns on the exterior patio were removed to open up the outside to deliver full views of the beach, ocean and the Deerfield pier. Interesting factoid: The lobster potato skins has become the top selling appetizer, taking the lead over calamari which has been the reigning champ since they opened 12 years ago. Everything that was presented was very good but if I had to pick a favorite food item, I’d have to say it was the grilled skirt steak followed by the lobster potato skins and the Nutella French toast. All of the cocktails were very good as well, including and especially the Mocktail. Check out the remodeling time lapse video here. re-organized and rockin’ with its own edgy brand of BFF (Beach, Food & Fun). 2. Best ‘on the beach’ dining, without getting your feet (or food) sandy. 4. 234 is even more social than ever before … dotted with intimate seating areas, raised banquette seating for large groups or several couplings. 5. Its new first-ever private dining room with seating up to 50 for lunch, brunch, dinner for all biz and personal celebrations. 6. More than 75% of the ‘true to Florida’ menu is all new – by Chef Victor Franco; check out the separate and extensive gluten-free and brunch menus, new signature cocktails and desserts. 7. Introduction of new ‘wine lovers’ program featuring 102 select brands; 400 bottles line new wine wall. 8. The ideal spot for memory-making and envious South Florida selfies (especially for sharing during Winter months with those stuck in snow). 9. Romance is afire: place for ‘date night’ or to propose, marry and commemorate milestones. 10. Great place to sports watch televised match ups! As Josh explained to our group, they strive for the holy trinity of Great Food, Great Price & Great Service. I am proud to report that I think they have nailed all three. I highly suggest that you head over to Oceans 234 and see for yourself why “everything is better at the beach”. Oceans 234 is located at 234 North Ocean Boulevard, Deerfield Beach, FL. The restaurant serves lunch and dinner seven days a week and brunch on Sundays. Their hours are as follows: Monday to Thursday, 11:30 am to 10 pm (bar closes at 11 pm) Friday and Saturday, 11:30 am to 11 pm (bar closes at 3 a.m.) and Sunday 10 am to 10 pm (bar closes at 11 pm). For more information on culinary events and private dining for business, holiday and celebratory events, visit http://www.oceans234.com; for reservations call 954-428-2539.